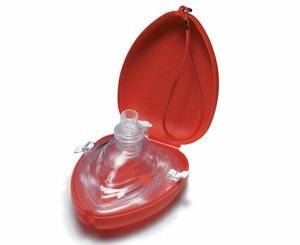 The Ambu Res-Cue Mask is designed to provide protected rescue breathing for any patient, in any age group. The mask helps in protecting rescuers in an emergency situation and in overcoming the hesitation to start resuscitation. May also be used with a resuscitator.